HAMILTON - Terrance Alexander Edwards, 32, Hamilton, will serve life in state prison for the May 2014 stabbing of former Hamilton police officer Eric Zills, as well as 20 years for the assault on another man in the same incident. Edwards plead guilty on June 13 to attempted murder in connection with Zills’ injuries and first-degree assault concerning injuries suffered by Devan Hall of Hamilton, according to court documents released by Marion County District Attorney Jack Bostick. Edwards still has 42 days from the Aug. 18 sentencing to appeal, but Bostick said he has very limited rights in appealing. Zills said on Aug. 19 he would have no comment as the window of appeal is still open. He was sentenced by Circuit Judge John Bentley at a hearing on Thursday, Aug. 18, at the Marion County Courthouse in Hamilton. Edwards was indicted by a Marion County Grand Jury on June 23 on nine counts, including attempted murder and various first- and second-degree assault charges. Zills, who turns 34 on Thursday, Aug. 25, eventually left the police force and joined the city’s sanitation department before returning to policing as an officer in Red Bay. 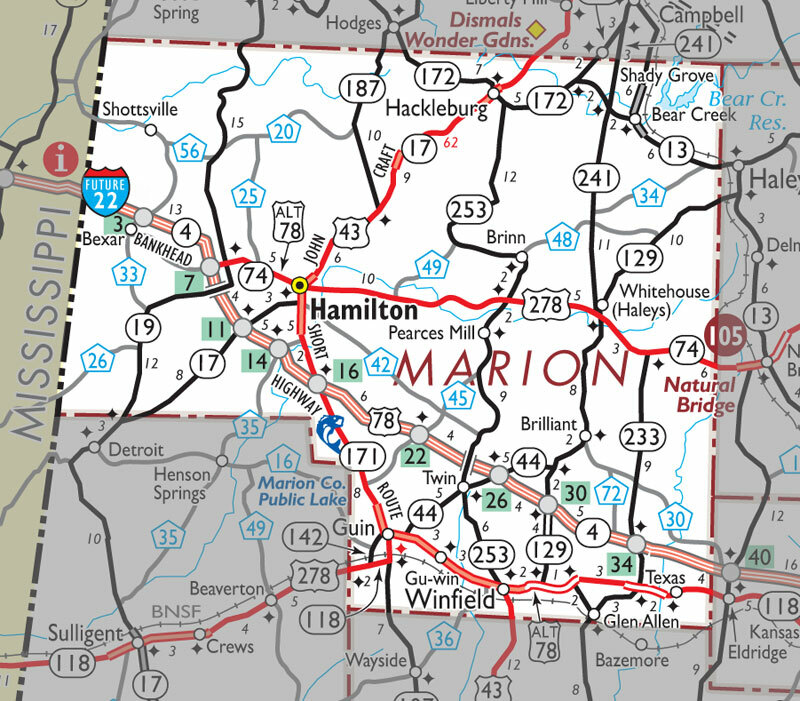 Edwards has been held in the Marion County Jail in Hamilton. Bostick said that Edwards entered a “blind plea,” meaning that he confessed to the charges but could not come to an agreement on sentencing with prosecutors, so that the sentencing was left to the judge. No sentencing recommendation was made by prosecutors before Bentley handed down judgement. Testimony was taken from Zills and from Edwards’ mother, Judy Edwards, and from the defendant. Court officials said it was difficult to understand what Edwards’ was saying due to his speech patterns. Zills “talked about having PTSD (post-traumatic stress disorder) since the incident and we went through what his family went through,” Bostick said, noting the family also suffered. Edwards was also ordered not to have any contact with Zills nor Hall. He was also entitled to a total jail time credit for 454 days. He has been ordered to pay court costs, a $1,000 victim’s assessment fee, restitution costing $12,071.48 and reimbursement for the fee of the court-appointed attorney, Lonnie D. Spann. “He will go to Kilby Correctional Facility, which is the main processing center for the department of corrections, and they will put him through their classification matrix and they will decide where he goes from there,” Bostick said. Zills, who is also a former jailer at the Marion County Sheriff’s Department, was a police officer with the Hamilton Police Department when he was stabbed on duty on Friday, May 23, 2014, along with a young friend who helped break up the attack, leading to the arrest of a suspect within an hour on two counts of attempted murder. Zills was attacked on a Friday night as the holiday weekend began. He was released from North Mississippi Medical Center-Tupelo on Memorial Day (Monday, May 26), 2014. Hamilton Police Chief Ronny Vickery said on Tuesday, May 27, 2014, that Zills, who underwent surgery over the weekend, was stabbed in the back of the head and the upper left arm. Hall, who was 21 at the time and had graduated the previous year from Hamilton High School, suffered cuts when he saw what was happening and jumped in to help, Vickery said. He was treated and released from North Mississippi Medical Center-Hamilton. Edwards has been held at the Marion County Jail in Hamilton since his arrest under a $120,000 bond, he said. The incident occurred about 9 p.m., as Zills was watching the intersection of National Guard Road and Aggie Avenue, in front of the Marion County Engineer’s Office. Vickery said Hall was parked next to Zills, and the two were “shooting the breeze” when Edwards was walking west toward the patrol car. Hall said he appeared nervous. “When the guy sees the patrol car, he casts something into the weeds,” Vickery said. Hall saw that and told Zills that Edwards tossed something to the side of the road. Zills eventually asked Edwards to step over to the side, Hall said, with the intention to pat Edwards down. “He tried running from Eric, and Eric slammed him against the car,” Hall said. Edwards then allegedly pushed Zills and started to stab at Zills. When Edwards started stabbing the officer, Zills tried to run from the suspect and started yelling for Hall to help him, as Hall was still in his vehicle. Edwards allegedly slashed Zills, according to Vickery, in the back of the head, seriously wounding him. “He’s got about four stab wounds to the back of the head. He’s got a large, deep laceration high on his left arm,” he said. During the scuffle, Edwards got behind Zills, Vickery said. Eventually, Hall said he tried to tackle Edwards. “He got me in the shoulder and he took off running,” he said. Vickery said Hall did not go to the ground, adding the injury was to Hall’s right shoulder. When Hall came to Zills’ rescue, “that’s when the guy just finally backed up, jumped up and ran” to the west toward Riverside and Key Branch Circle, Vickery said. “I think Zills himself called for assistance on the radio,” he said. Hall said that a cousin from Gulf Shores, Ryan Frye, helped to load up Eric in Hall’s truck while Hall gave chase. Once Edwards pulled away, Hall (who had tried to chase him for 200 or 300 feet) returned to the truck. He noted Zills was yelling, “Get me to the ER.” He then drove Zills to the hospital, with Frye accompanying them to the hospital. “At the time, I had no clue I had been stabbed. I thought he had punched me or something to try to get away,” Hall said. “I had blood rushing down my arm. We beat on the door at the ER. That woman looked at us, like, what’s wrong. Eric comes stumbling up to the door, and she finally opens the door and lets us in. Law enforcement from across the county, as well as the Alabama Bureau of Investigation, responded and a manhunt began immediately for a suspect. Vickery said for the first time in a number of years, the call went out on the radio that an officer was down. Through some evidence collected, officers located Edwards at his mother’s residence, a manufactured home which is in a secluded area off Riverside Drive, about 1 1/2 to two miles away from the crime scene. At that time, he was armed with a knife. However, he soon surrendered without resistance and was arrested about an hour after the incident.